Styled BUY Divya: Candy crush. 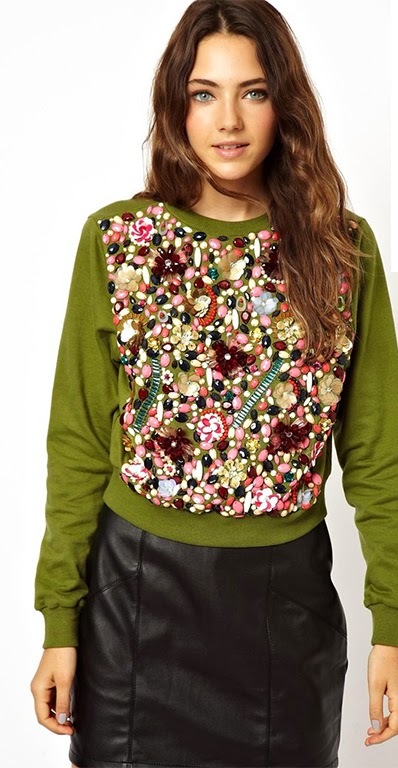 The candy like jewel embellishment on this sweatshirt looks good enough to eat! 1. Olive embellished sweat shirt 20 GBP. 2. 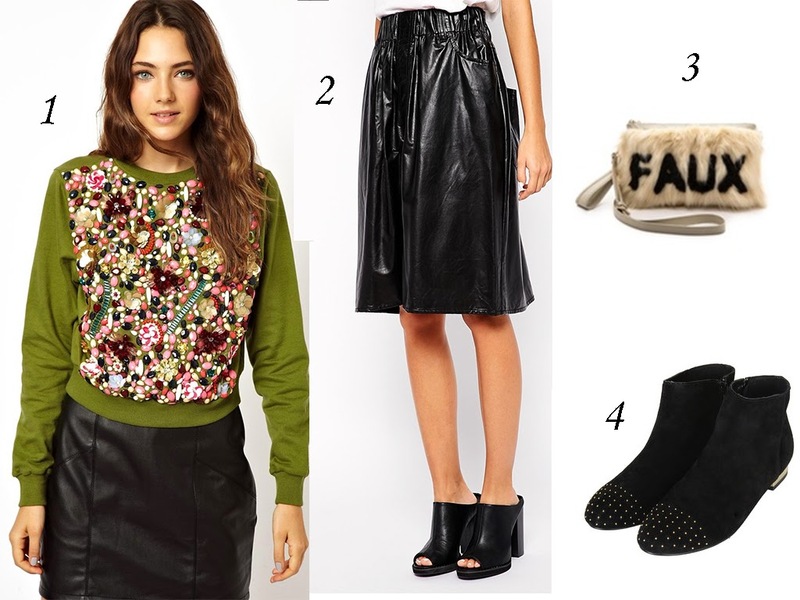 Faux leather skirt 60 GBP. 3. Faux bag 98 USD. 4. Pin stud boots 39 GBP.